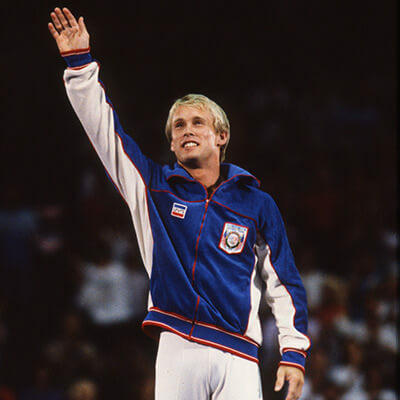 Bart Conner is the only American male gymnast to win gold medals at every level of national and international competition. Conner has been a USA Champion, NCAA Champion, Pan-American Games Champion, World Champion, World Cup Champion, and an Olympic Champion. 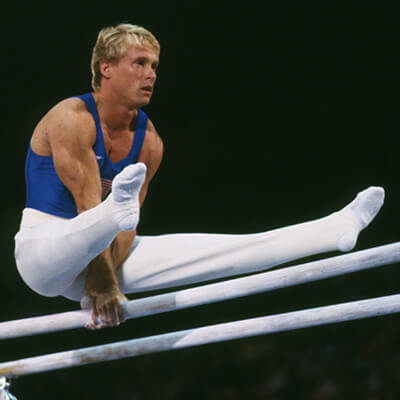 Conner was a member of three Olympic Teams in 1976, 1980 and 1984. It was in the 1984 Los Angeles Olympics where he made a dramatic comeback from his second torn biceps injury to win two gold medals, one as a member of the US team. Conner earned his second gold with a score of perfect 10 on the parallel bars. In the fall of 1976, Conner moved to Norman, OK to attend the University of Oklahoma, and to be coached by Paul Ziert. While at OU, Conner earned 14 NCAA All-America honors, and led his team to 2 NCAA team titles. 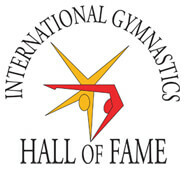 In 1991, Conner was inducted into the US Olympic Hall of Fame, and in 1997, he was inducted into the International Gymnastics Hall of Fame. After graduating with a degree in Journalism in 1984, Conner went into business with Ziert. 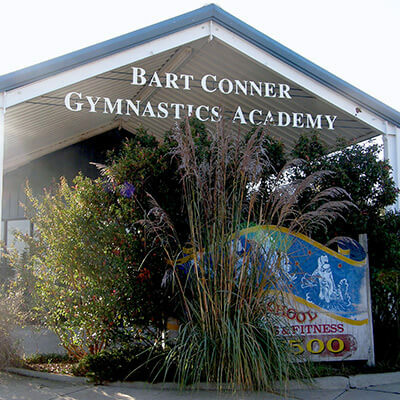 Today, they own several gymnastics related business interests, including the Bart Conner Gymnastics Academy, International GYMNAST magazine, and Grips, Etc., a gymnastics supply company. Conner still enjoys high visibility as an ESPN TV color commentator and public speaker. In 1996, Conner married Romanian Olympic Champion, Nadia Comaneci in a lavish state wedding in Bucharest, Romania. Their son, Dylan Paul Conner, was born in 2006. Today, Conner and Comaneci are involved in several international charities including the Executive Board of Special Olympics International. Conner also serves as the Chairman of the Board of the International Gymnastics Hall of Fame, and an advisory board member of the OU College of International Studies. Conner and Comaneci also collaborate annually with several key sports entities in Oklahoma City to put on the Bart & Nadia Sports Experience which is designed to encourage Oklahoma children to “take ownership” of their wellness by engaging in fun, positive sports and fitness activities.